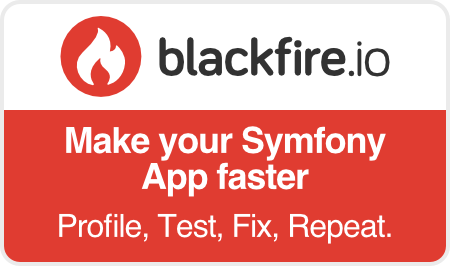 Helps you create new Symfony applications. Provides a local HTTP/2 web server. Generates TLS certificates. Checks for security vulnerabilities. Seamlessly integrates with SymfonyCloud. A must-have tool when developing Symfony apps locally. Download and run the setup.exe installer to create a binary called symfony. If you prefer, you can download the binary directly for 32-bit or 64-bit platforms. 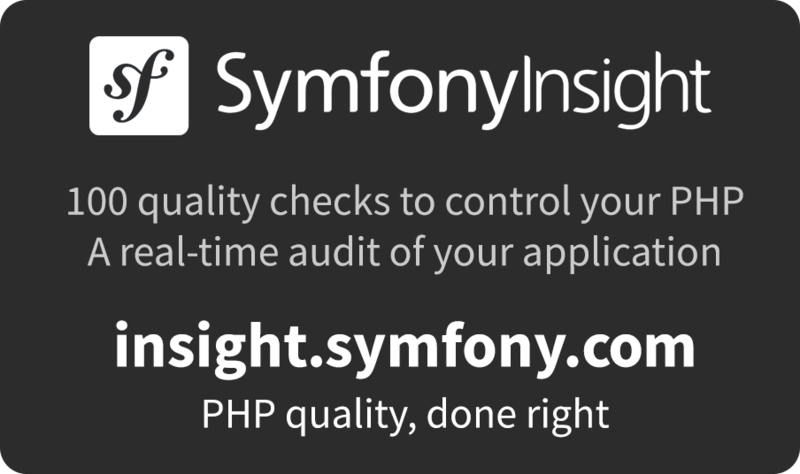 Add a note about how to control PHP versions in "local:php:list"
Symfony 4.2 is the latest stable version. Use it to get the most recent Symfony features. End of support for bug fixes: Jul 2019 (see roadmap). Symfony 3.4 is the latest long-term support version. Use it for projects that prioritize very long support over new features. End of support for bug fixes: Nov 2020 (see roadmap). Symfony apps are built on top of a set of decoupled and reusable PHP libraries called Symfony Components. They have become the standard foundation on which the best PHP projects are built on. You can use any of these components in your own applications independently of the framework. The best Symfony learning resource and the reference to develop applications following the official best practices. Receive an email when a new Symfony version is published or when a Symfony version reaches its end of life. Symfony Source Code Symfony is publicly hosted on GitHub. Join us sending pull requests, reviewing code, or reporting issues. Free and Open Source Symfony code is published under the MIT license, which is friendly for developers and safe for businesses. Symfony Recipes Check out our recipes to integrate third-party packages into Symfony. Download Legacy Versions Download Symfony 1.x for your legacy projects and applications.